So, here we are then, back to business after an international break that seemed to last even longer than the previous one. 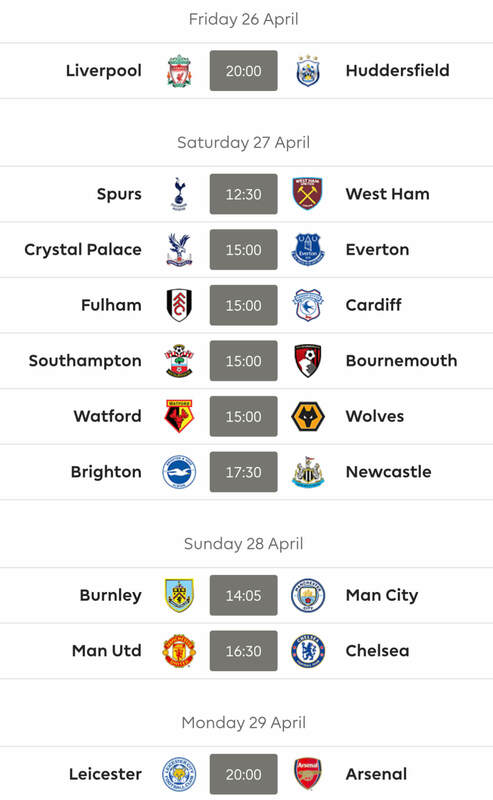 With most some of the popular FPL players coming out of the games unscathed, at the time of writing at least, we are able to look forward to four consecutive gameweeks of Premier League action before we have to put up with a lack of action over the weekend of 17th November. You may remember from reading the last tips article I wrote that my managerial career was hanging in the balance as I’d recorded the worst start to a season since becoming a member of this great website. Well, I’m afraid Gameweek 8 also joined the legions of previous weeks in being one to forget as I joined the Kane bandwagon and got burned as a result. My condolences to those who went all out and put their only triple captain chip of the season on him too. Anyway, we go again – as every Premier League player’s social media guru will write on their behalf after a disappointing result – and your tips for Gameweek 9 and beyond await. 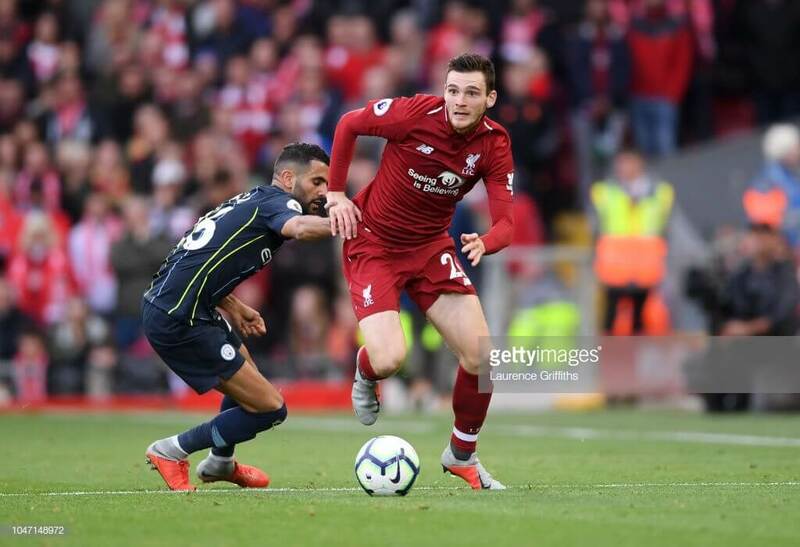 You’ll see my goalkeeper selections are, as usual, for teams with favourable fixtures, however the favourites like Ederson, Alisson and Patricio have been omitted as Man City, Liverpool and Wolves’ defenders will offer better points potential – and I’m not a fan of having two of the same team in your defence. Plus, there’s some great differentials out there to rotate with your other goalkeeper. On that basis, the first on my list of recommended goalkeepers is Martin Dubravka, owned by just 0.5 per cent of managers. The Newcastle goalkeeper may be a surprise pick as he has kept only two clean sheets so far this season, having shipped in five goals in the last two games, being in a team that is in chaos. Trust me, as a Villa supporter, I know a team in chaos when I see one. The main reason the £5m goalkeeper is selected is because of the great fixtures he has coming up, which will give the Toon an ideal opportunity to turn it around. Whilst the team is placed 19th in the table, having not won a single game yet, the amount of goals put past the shot stopper is actually lower than the other squads down there, at 13 from eight matches. The worst is Fulham, who have conceded 21 in the same amount of fixtures. Good job they have some attacking threat, at least, which I’ll go into later. Anyway, back to Dubravka, a goalkeeper who is ninth on the table of saves, with 25 goals prevented. It’s fair to say the rest of the team have a lot to thank him for, with the Slovakian also being a leader both on and off the field. They could be even worse off. The first team he is up against is Brighton, who are ranked 19th out of 20 on the amount of shots and 12th on goals scored. Next up is Southampton away, who don’t exactly have the best record in front of goal either, followed by Watford and then Bournemouth back at St James’ Park. Next up on the list is Bournemouth’s Asmir Begovic who costs £4.5m and is owned by just 4.4 per cent of managers. The Cherries are currently going through a good run of fixtures and, as much as things didn’t go to plan for them away at Burnley and Leicester recently, I think this fella would be a good buy for the next few games. 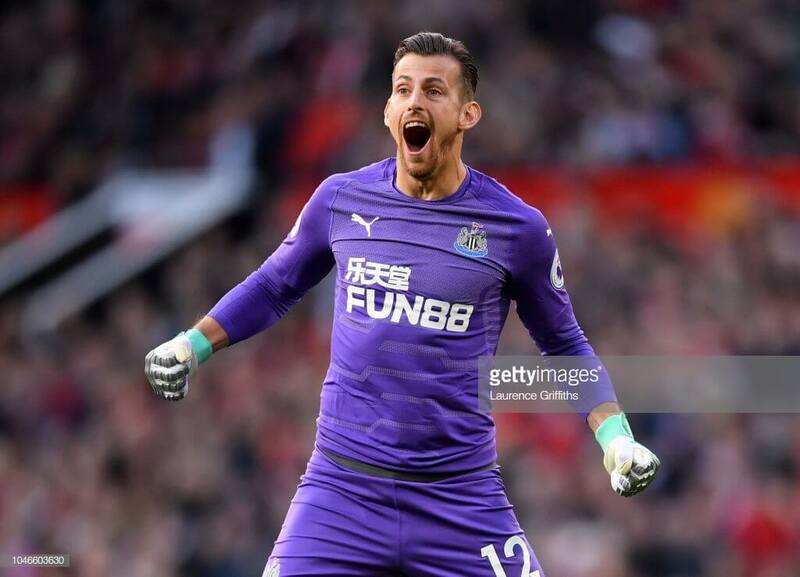 Like Dubravka, he has two clean sheets to his name already this season and he’ll be facing Southampton this week, a team they would love to beat, I’m sure. Results when the two sides have met have been a mixed bag, recently – in the last three years, they’ve played six times and two of those have finished with clean sheets for Bournemouth. After that game, it’s Fulham away and then, following that, you’d probably want to play your other goalkeeper as Begovic will be hosting Man United, a team who will probably have a different manager by then and may actually present an attacking threat. My final recommendation is to take a look at Everton’s Jordan Pickford, who costs £4.9m and is owned by just 13.7 per cent of managers. With only one clean sheet to his name in the league so far, from the 3-0 victory over Fulham, it may seem odd to see his name included here. However, we remember his heroics back in the World Cup – which already feels like an age ago. This gameweek, too, the shot stopper goes into the fixture at home to Crystal Palace on the back of a clean sheet in the borefest that was England’s 0-0 draw with Croatia. The Eagles themselves are also 18th in the Premier League, if it was based on the amount of goals scored. After the Toffees face Man United away, Brighton then make a visit to Goodison Park. Following on from what I said about defenders who bring great points potential, I can’t look past Andrew Robertson as my first pick. Immediately punishing people like yours truly who dropped him for Trent Alexander-Arnold – who then didn’t play against Man City – to free up funds for the calamitous Kane, the defender does come at a price. However, it’s true that you get what you pay for and his tag of £6.3m is no different. Matching Cardiff, Huddersfield have the second-highest amount of goals conceded with 17 and the lowest number of goals scored with a paltry four from eight fixtures. Music, no doubt, to the ears of 27.5 per cent of managers who already own him as he travels to the John Smiths Stadium this gameweek, as they are safe in the knowledge there’s a high likelihood he’ll be in the starting XI. You know I mentioned Cardiff just then, on being equally as bad as Hooderzfield (as an American subtitler spelled it when Doctor Who’s Jodie Whittaker was speaking)? Well, they’re next up and have the task of playing at Anfield. Hopefully the Scot will rate his quality of play higher than he did after the humiliating defeat against Israel in the international break. Also following on from what I was saying about defenders who come with a threat, it’ll come as no surprise that my next tip is a player who has returned from ‘injury’, depending how cynical you are about what Pep Guardiola said about him. Especially as France coach Didier Deschamps has warned the same fella about his attitude to fitness. Benjamin Mendy hit the ground running at the start of the season, notching up 15, eight, four and five points from five assists and one clean sheet and so it was a great shame it was halted. Even with that ‘break’, he and Alonso still lead the way when it comes to goals assisted. Now costing £6.2m, you are buying yourself a defender who isn’t afraid to get forward and either put in a great cross or even, possibly, score a goal. You never know. This week, he’s at home to a Burnley side who are 18th in the table of shots and so a clean sheet could be the least to expect. If, however, you don’t want to spend that much on a Man City defender, take a look at Aymeric Laporte. He has the second highest score in the Cityzens’ defence, behind Kyle Walker, but costs just £5.7m and is owned by a meagre eight per cent of managers, meaning there’s a good chance he’s not in your rivals’ teams. What’s more, the guy who is in the middle of a tussle between the Spanish and French football associations at the moment, has played in all of Man City’s games so far. Robertson, Mendy and even Laporte come at a price, however. That’ll mean you are no doubt planning to save money on other elements of your defence. If that’s the case, take a look at Wolves’ Matt Doherty at £4.7m. Being in a defence that has registered four out of the eight potential clean sheets and carried attacking returns himself of one goal and two assists, you can’t look past the fact he’s a very attack-minded player with the benefit of being in a great set of backs. In fact, when it comes to shots by a defender, he has the second highest with 12. Only Marcos Alonso, who has 16, has had more. If you still need convincing, bear in mind the fact Wolves play Watford at home, a team who appear to be having somewhat of a wobble at the moment, having gone down 4-0 at home to Bournemouth and fallen to a 2-0 defeat away at Arsenal. After that, Doherty and co face Brighton away, before two big tests come in the form of Spurs and the Gunners. Another defender to look at around the same price range as Doherty is Newcastle’s Jamaal Lascelles at £4.8m, who’s also a great differential with only 4.3 per cent ownership. As mentioned in the case for Dubravka, Newcastle have got some good fixtures coming up – you have to look to Boxing Day for the next red-coloured game of difficulty on the FPL website for the team, when they travel to Anfield. Between now and then, there’s 10 opportunities for the lads in black and white to try to turn their season around and, in Lascelles, there’s someone who has the potential to find the back of the bet, having scored three last season. 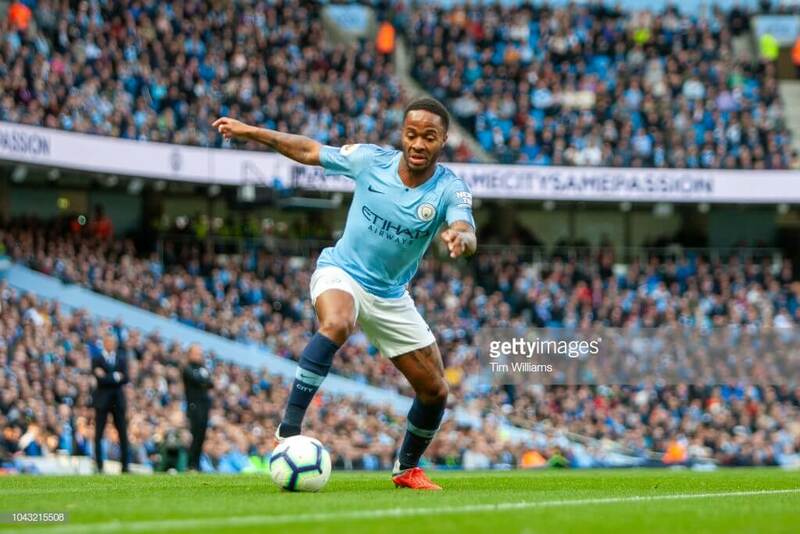 One of those players who has escaped the attention of a lot of managers, even after recording some double-digit scores already this season is Raheem Sterling. People are, perhaps, put off by the pricetag of £11.1m, thinking he is not worth it, as only Hazard, Salah, Aguero and Kane are more expensive. Only the Belgian and Argentinian from that list are, unsurprisingly, the players who have scored more so far, mind you. Well, the 5.4 per cent of players who have him in their team have so far benefitted from four goals and two assists in the seven league matches he has played, with the games against Newcastle and Brighton proving to be the most prolific performances. Last season, he managed a massive 18 goals and 17 assists and it wouldn’t be impossible to suggest the player, who allegedly stormed out a room after Jordan Sancho beat him in FIFA the other night, could do the same this season. Score and assist goals that is, not have a strop at losing on a video game. I’ll just throw in a word of caution, however. With Kevin de Bruyne desperate to get back into play as he returns to full training from injury, we enter the all too familiar territory of Pep’s midfield rotation. The £9.7m Belgian does have a more favourable price tag and you don’t have to think back too far to remember the eight goals and 18 assists he recorded last season. Just keep an eye on when it looks like he’ll be definitely making a start. Whoever you pick, Man City face Burnley this week, a team they have not lost at home to since 26 March 1963, having put 14 past them in the five most recent times they have met at the Etihad. Will he stay at Chelsea, or will he go in January? Well, their supporters will certainly hope Eden Hazard stays, if he keeps up his current outstanding form. OK, OK, I admit it – he was going to be my first choice too! Chosen by many – myself included – to replace the underperforming and now possibly injured Mo Salah in their teams, the Belgian has repaid owners who put their faith in him, so far recording a whopping seven goals and three assists, being resurgent under Maurizio Sarri. This week he faces a Man United side who, it’s no secret, aren’t exactly cohesive at the moment. Mourinho’s men have so far conceded 14, the highest of any team in the top 15 in the Premier League and so, looking at the Chelsea squad, Hazard is the man you can expect to be among the goals and further heap misery on a familiar managerial face – albeit by playing to the best, instead of the worst, of his capabilities. Indeed, the 13 times he has played the Red Devils, he has scored five and assisted two. After that, the guy – who so far has the most goals so far – faces Burnley, Crystal Palace and Everton. It could be thumbs up or thumbs down on this one, time will tell, but as Liverpool seem to have hit a wall when it comes to attacking threat, having only scored once in the last three matches across all competitions, it may seem a bit strange that I’m going to suggest one of their players for your perusal. Sadio Mane is, however, the top scoring midfielder in The Reds’ squad with four goals coming from the first four games. The Senegalese player has two juicy fixtures coming up as he faces Huddersfield, who he recorded an assist against the last time he was at the John Smith’s Stadium, followed by Cardiff. It would be impossible to write this article without, of course, mentioning Richarlison. Or should that be his teammate Sigurdsson? No, I do mean Richarlison. Having hit the ground running with 14 and nine points from the first two gameweeks, before that red card away at Bournemouth, he’s taken a bit of time to return to goalscoring ways, after blanking at Arsenal and, surprisingly, at home to Fulham. Fast forward to Leicester away and he was the first to find the back of the net in the game, picking up seven points at the end of the 2-1 victory. The £6.8m player – who is £0.6m cheaper than his aforementioned Icelandic colleague – is in 23.3 per cent of teams and has a mixed bag of fixtures coming up, beginning with Crystal Palace at home, a team he recorded an assist against last season and one that Everton haven’t lost to since 2014. 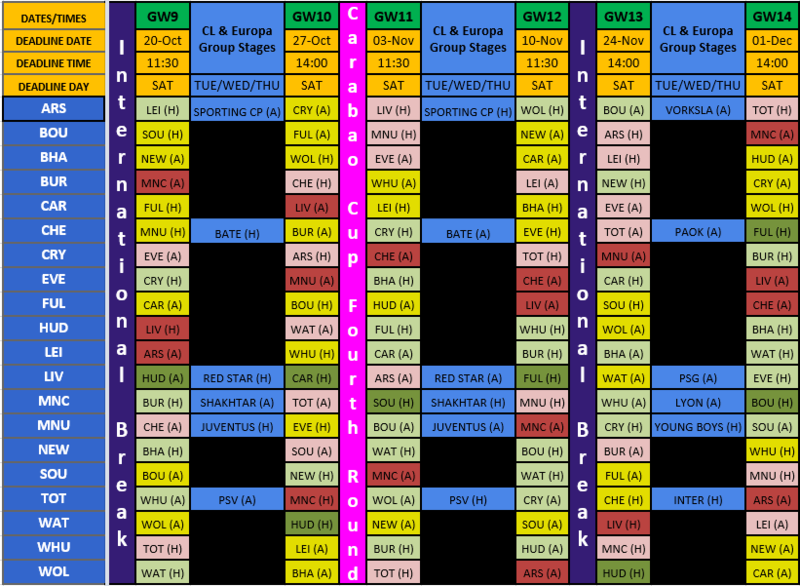 Though there’s also Man United, Chelsea and Liverpool away between now and Gameweek 14, there’s also Brighton and Cardiff at Goodison Park which present good points potential. My first pick is the obvious. It’s the forward with the most points to his name who is playing Burnley this gameweek. One who was very unceremoniously dumped for the Calamitous Kane in Gameweek 8 by many managers including me. Yes, it’s Sergio Aguero. Now owned by more than 50 per cent of all FPL managers, making him the most-owned player, he carries with him damage limitation if you’ve captained him, even if you’re having a bad gameweek. The fixture away at Liverpool was only one of three where he has scored less than five points – the others being Arsenal and Wolves. The team he’s facing this weekend, Burnley, will however not be looking forward to facing the Argentinean, as he has scored six in the five times he has played them – and so it wouldn’t be a surprise to see many managers place the armband on him and cross everything in the hope Pep doesn’t decide to have fun and play Jesus instead. 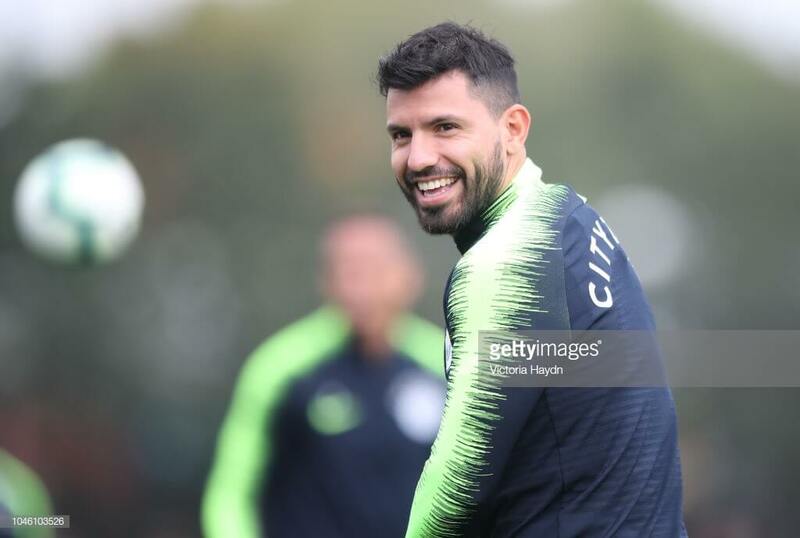 Sergio has, of course, been rested over the international break – with a bit of partying in Los Angeles along the way, as you do – and will be raring to go. If you already have Aguero and have £9.6m burning a hole in your pocket, perhaps take a look at Alexandre Lacazette, a man who has proved himself to be resurgent now the lookalike of an older Santi Cazorla, Unai Emery, has taken charge. I’ll admit that I was put off the lad when I was on the wildcard due to the amount of gametime he had played, or lack of. Then he played Cardiff and scored 12 points in 90 minutes. 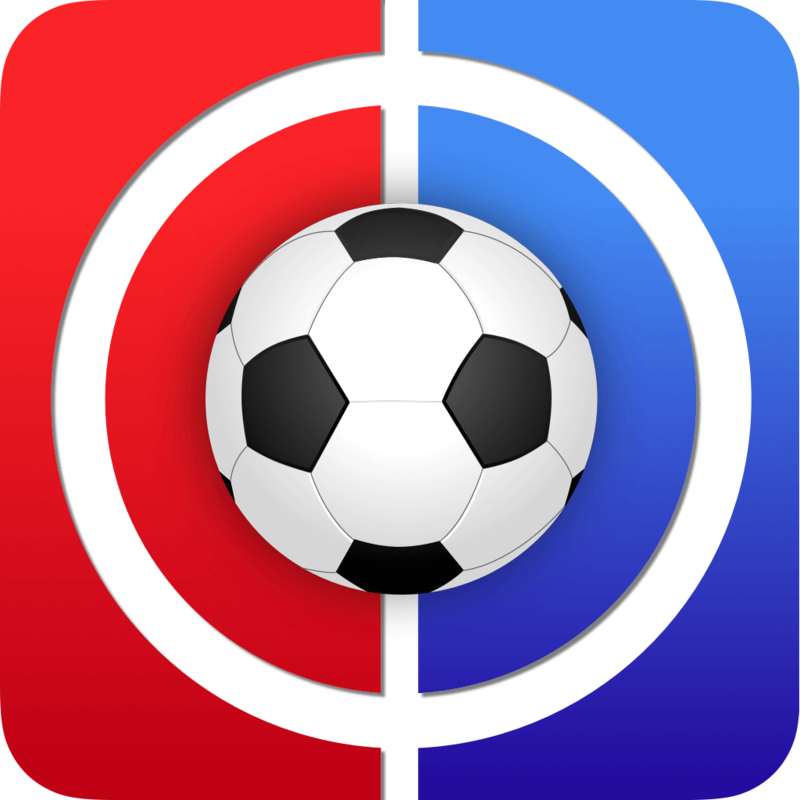 After that, the four games against Newcastle, Everton, Watford and, most significantly, Fulham have amassed a massive 30 points – and he has played only 11 minutes short of the full 360 in that time as well. While four goals is impressive, the four assists he has already picked up are only one short of his entre haul last season, showing himself to now be the asset he was touted to be when he signed under Arsene Wenger. Leicester make the trip to the Emirates this weekend, a game that, last season, saw seven goals as the Gunners came out 4-3 victors. The return fixture that same campaign saw the Foxes win 3-1 and so there is definitely potential for a good few goals to be scored by both teams. After this, it’s Crystal Palace away followed by Liverpool at home. One thing to bear in mind is that Lacazette has the dubious honour of the third highest amount of fouls, with only Luka Milivojevic and Glenn Murray recording more. Whilst the Frenchman may not have picked up any yellow cards yet, there’s always the danger of picking one up or worse. As a quick note, one player in the same price range as Lacazette is Roberto Firmino who hasn’t exactly had the most prolific campaign so far with two goals and two assists. However, as you will have read on the appraisals of the Brazilian’s Liverpool colleagues, there is great potential for him to kick off his season with Huddersfield and Cardiff on the horizon. Against the Terriers, he has scored two in as many games, which could just be the boost ahead of facing the Bluebirds for the first time in his career. I would suggest that, if Aleksandar Mitrovic isn’t in your team and you need to bring in a £6.9m player, he is a pretty good selection. I know he has scored only three points across the last two games, but the match against Arsenal taught us quite an important thing about Fulham – the team needs the Serbian to perform when they have such a porous defence. What’s more, they need to keep hold of him, with 75 per cent of Chelsea fans polled by a football website saying they would back a bid for the player. Just consider how well Newcastle have been doing in front of goal with the hole in their squad that he left when he moved in the summer. You can’t blame those Blues supporters in wanting him, really, especially when you consider the international break saw the player pick up his scoring boots once again, finding the back of the net twice in a 2-0 win over Montenegro – a historic first meeting between the former Yugoslav republics. The next three weeks bring great potential for the guy, with Cardiff away, Bournemouth at home and Huddersfield on the horizon. Those fixtures are also crucial in gaining points to move away from the 17th place the Cottagers are in, as the next three then get pretty tricky. Marko Arnautovic could then be your man to take Mitrovic’s place if you feel disillusioned with him after those games, as he then faces Huddersfield in Gameweek 12. Of course, you wouldn’t do harm in bringing him in sooner, as the Austrian plays Spurs, Leicester and Burnley between now and the trip to the John Smith’s Stadium, on the back of four goals and an assist so far this season. That’s along with a goal in Austria’s 1-0 win over Northern Ireland. I guess first wait for the news on Mane and Fraser. If both fit then probably Shaw to Mendy? I would also look at changing your keeper in the coming weeks. Still tinkering with my WC. Which of these two do you prefer? For the first one I’m also considering Mendy+Hamer > Laporte+Fabianski to get a second keeper for GW11 and 12. I say the second one. The big question is mané or laca, and laca is performing great, mané is doubtful. And you got a second keeper there…. It’s not Mane or Laca though, it’s Laca & Fraser or Mane & Arnautovic! For me the latter is better, mainly due to Fraser, Laca is better than Mane for me too but Arnie is miles ahead of Fraser! We will see whether Mane will be fit to play though! I prefer the second squad, but think it could be even better if you did Vardy > Arnie or King and then use the cash to either upgrade elsewhere (e.g. Fraser > Maddison if you still want LEI attacking cover) or keep it to aid future moves. Watch out for Stephens (BHA) who may drop to £4.3M tonight, as he could be a better bencher than McTominay once fit. I have to say I prefer the first one, although it doesn’t have a second keeper (I think rotation is overrated) and it has a triple up on Wolves! Perhaps get another keeper instead of Patricio? Really like the front 8 in the first one! Agreed. Like #1 but just barely. I think Laca could be a great pick but can’t really settle on a great WC team with him in it! Which keeper would you prefer to go for in that case? Fabianski? Ryan? Probably Fabianski! Could start with Ryan as well and make the change sometime before GW17 when Ryan’s fixtures turn to worse, but Fabianski is a saves machine and he’d be a nice set and forget option too untold next year (Spurs and City only two tough fixtures but could be massive save points in those)! I’d probably just pick Fabianski and be done with it! Or get Patricio and Zabaleta! Great stuff as always Swirly. Comes at a great time as I tinker with my WC. Think I’m fairly set but one question while some folks are about. 2- Robertson, Bennett, Richarlson ? Cheers fellas. That’s where I’m at now. I actually prefer 1. Better value and recent form in my opinion. Cheers Swirly. That’s great stuff. Is there any news on Mane. Also I’m not sure what to do with Kane, whether to change him for kun or not. Any views here guys? How about kun and sterling for Kane and mane?